Hi, and welcome to Life Identified! 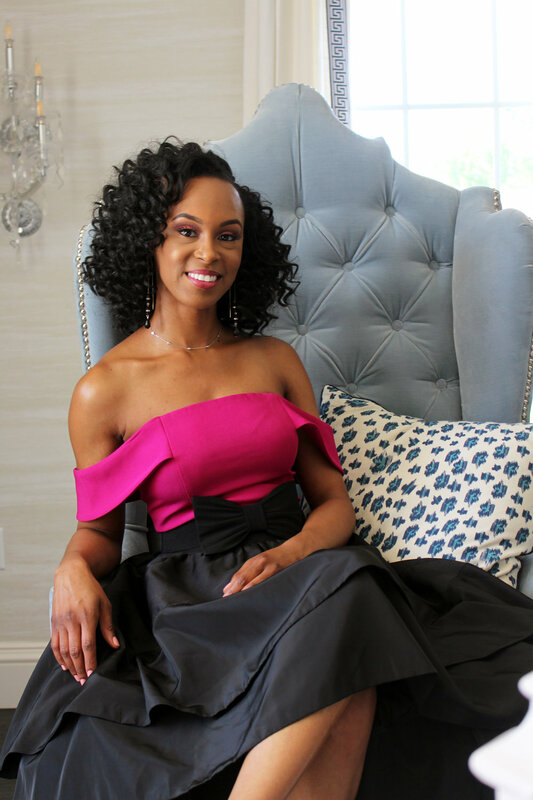 Life Identified Image Consulting was established in 2017 by Nolie Burns, a National Certified Counselor, believer in Jesus Christ, and ultimate fashionista! Life Identified is an image consulting business that caters to improving the self-perception, confidence, and self-esteem of individuals by way of group workshops at colleges, public school systems, agencies, and corporations on topics such as: professional etiquette, dining etiquette, confidence, image, and so much more. Life Identified hosts informative panel discussions entitled, “Let Me Save You The Trouble” on topics such as mental health, race relations, and other rarely discussed topics for the sole purpose of each one, teach one. Additionally, Life Identified is a lifestyle and fashion blog providing its followers with transparent life lessons on identity, women specific issues, faith, career, relationships, style tips and affordable looks for the career woman and the weekend diva. I am a small town Georgia peach with a big heart! I love encouraging others, talking about God, volunteering as a mentor, spending time with my family and friends, dining at fun restaurants, watching TED Talks, and styling creative pieces. By day, I am a mental health counselor and around the clock, I am the CEO and Life Skills Coach of Life Identified, where I get to be my most authentic self by sharing transparent moments for the purpose of inspiring others to see their worth. My personal testimony is filled with hurt, self-rejection, low self-esteem, resilience, beauty, joy, and healing. I wasn’t always confident, but that is exactly what qualifies me to share my narrative on how to overcome a negative self-perception and I look forward to share it with you all. I have a Bachelor of Science in Criminology from University of West Georgia and a Master of Education in Counselor Education from Georgia Southern University. The majority of my professional experience has been in human services, but I have always had an appreciation for beauty and teaching others how to properly exude confidence through their image. I hope you enjoy the content on this site and if you need any empowerment sessions, please let me know. Until then, be fashioned in confidence! The opinions expressed here are the personal opinions of Nolie Burns and they do not constitute as professional counseling. The content published here is not reviewed or approved by the National Board for Certified Counselors (NBCC) before it's posted and does not necessarily represent the views and opinions of NBCC or any other governing body. Nolie Burns is expressing personal opinions and not professional counseling and disclaims any and all legal responsibilities and liability for her personal comments posted on this site.